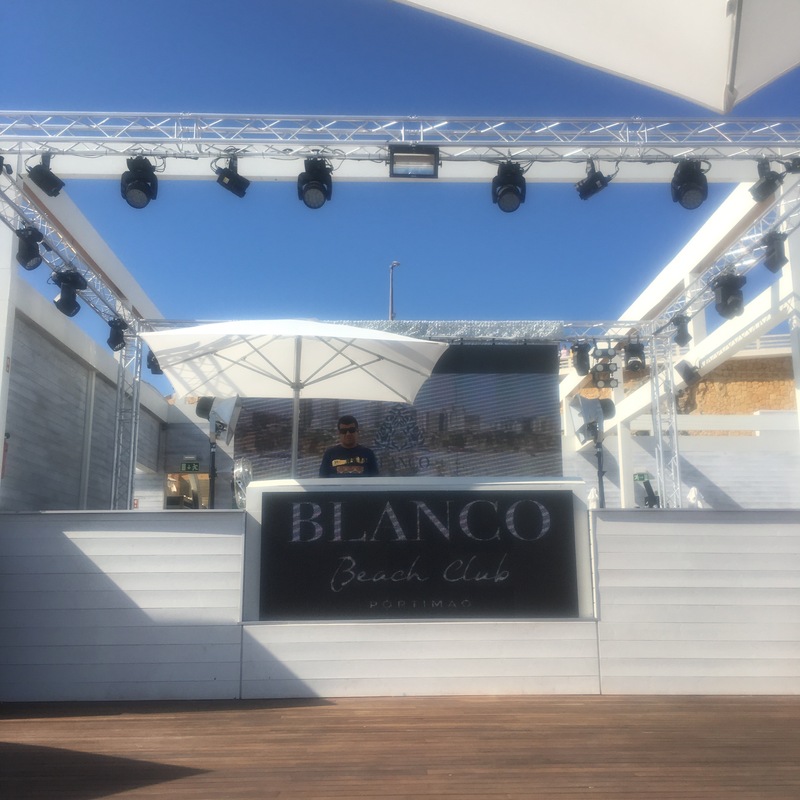 If you’re like me and a total Marbella/Ibiza girl, then Europe’s newest hotspot; Blanco Beach Club, is for you! 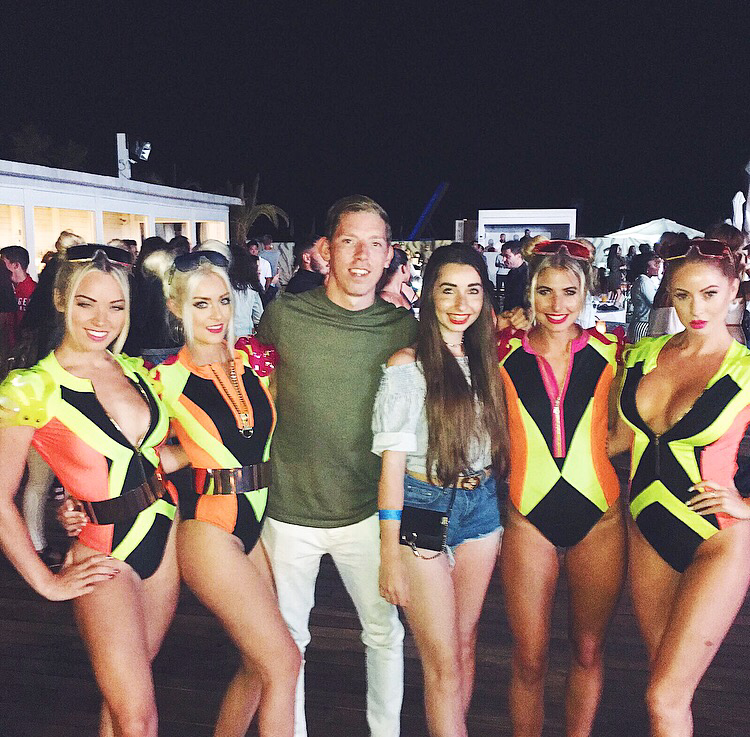 Having links to Ibiza’s biggest clubs, you can just imagine what’s in store! I was lucky enough to be taken there for 3 days and I fell completely in love! 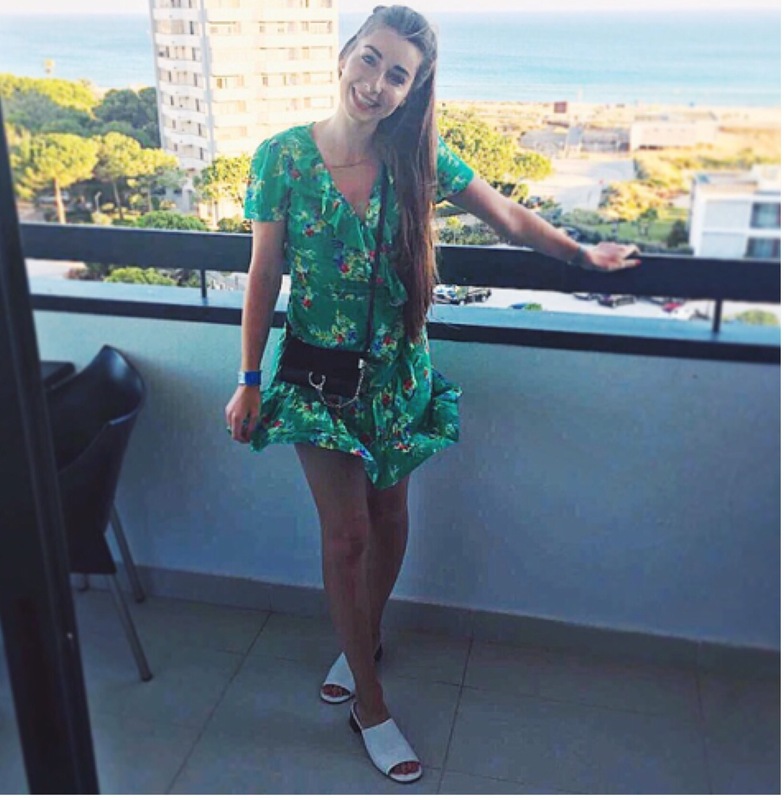 So much so, I really want to go back for my hen do in 2019! Blanco has a simple yet stylish interior, which is very chic. There is a colour theme going on throughout the club and that’s white, white and a little more white (oh and a little bit of turquoise)! The cups are white, the towels are white, the staff uniform is white! 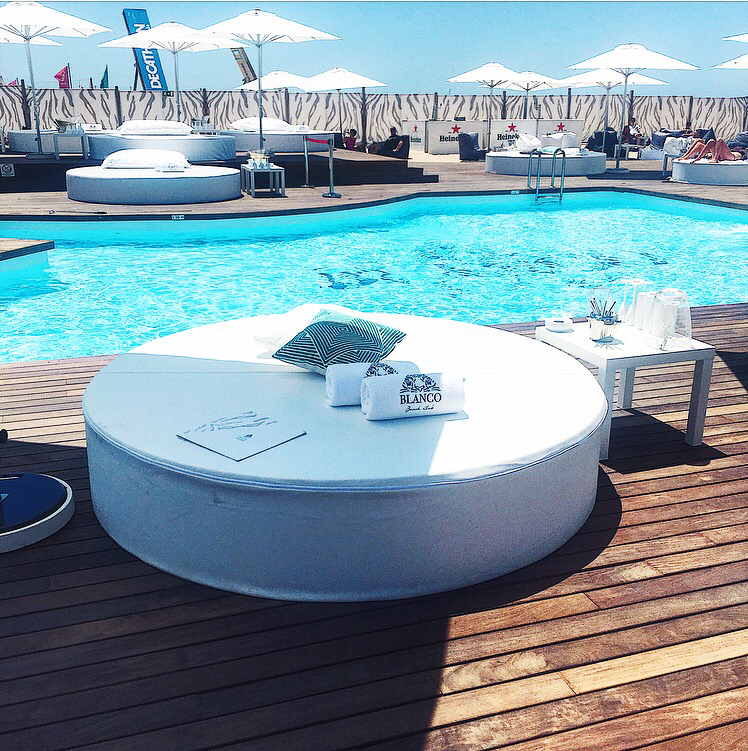 Not to mention that the round, leather beds surrounding the beautifully-blue pool, are all white too. 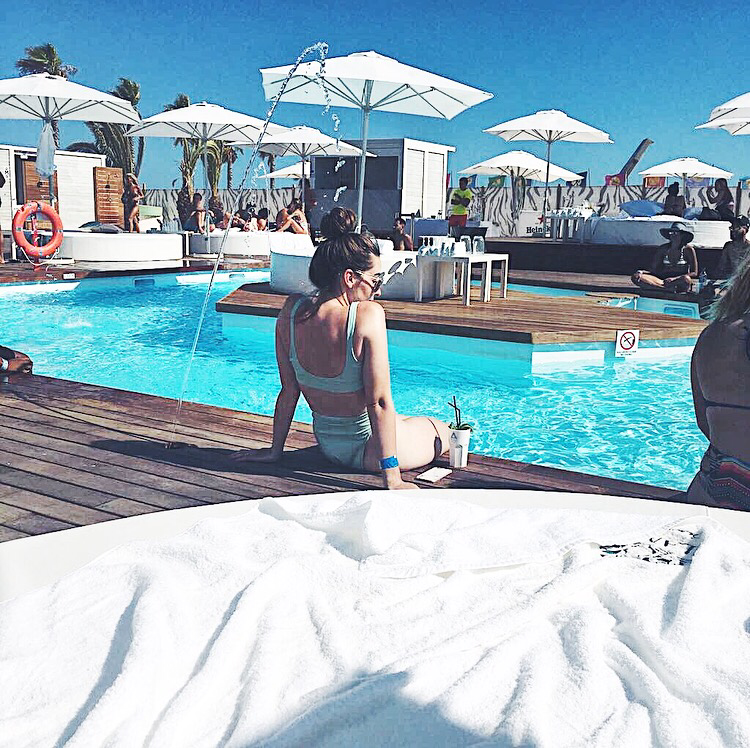 Talking of beds, there are even white cabanas that have private jacuzzis in front of them – I mean hello?! 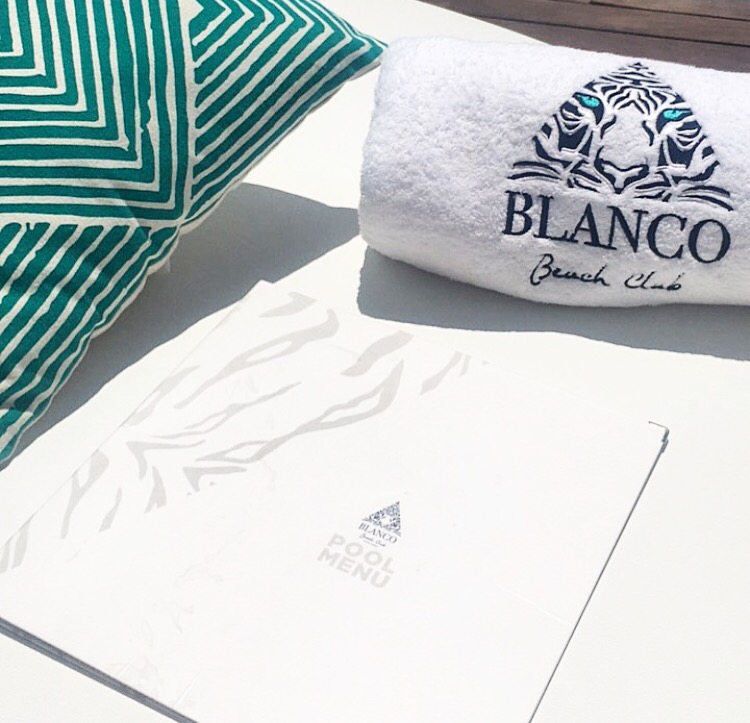 So as I’m sure you can already begin to imagine, Blanco Beach Club just oozes luxury. There are water fountains surrounding the pool, which look great. In the evening, they catch the lights from the stage. Again, another cool feature. Either side of the stage there are 3 fire pits (so 6 in total). 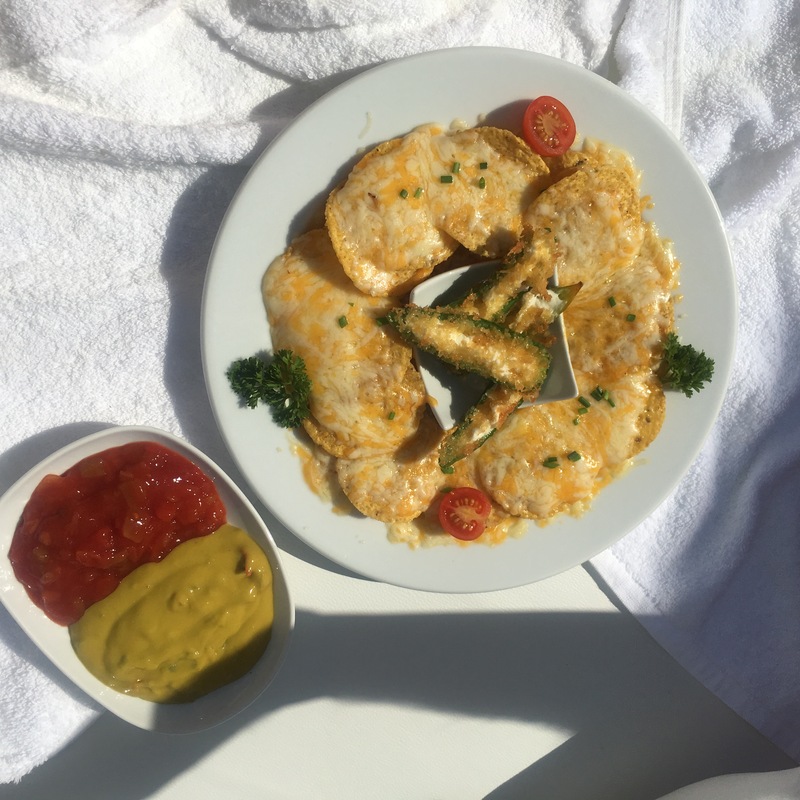 These are perfect to have for your evening as you can sit down, with a table, enjoying whatever food and drinks you decide to order, whilst listening to the tunes being played. The area in front of the stage becomes a dance floor (as some of the beds are moved out of the way) so don’t be shy to show off your moves…although I was. 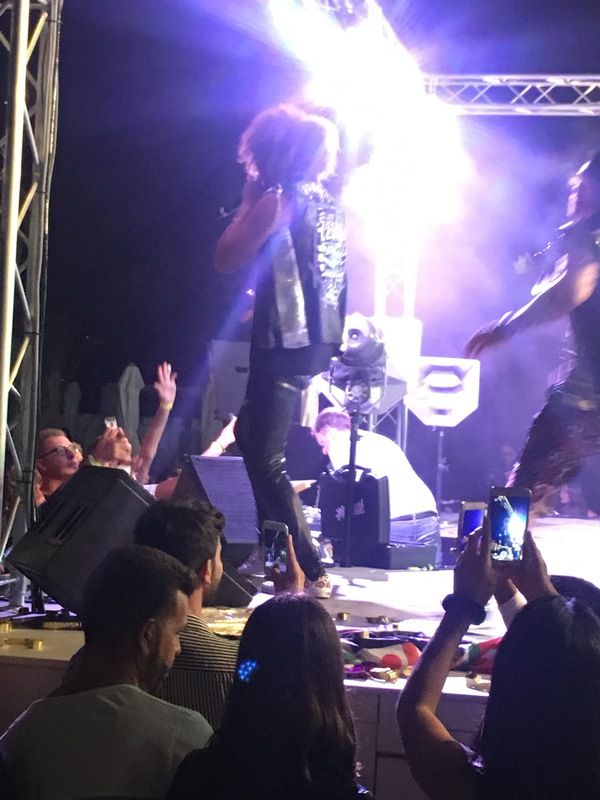 I stayed dancing at the fire pit…until I was dragged on stage during Redfoo from LMFAO’s Party Rock set. Awkward! 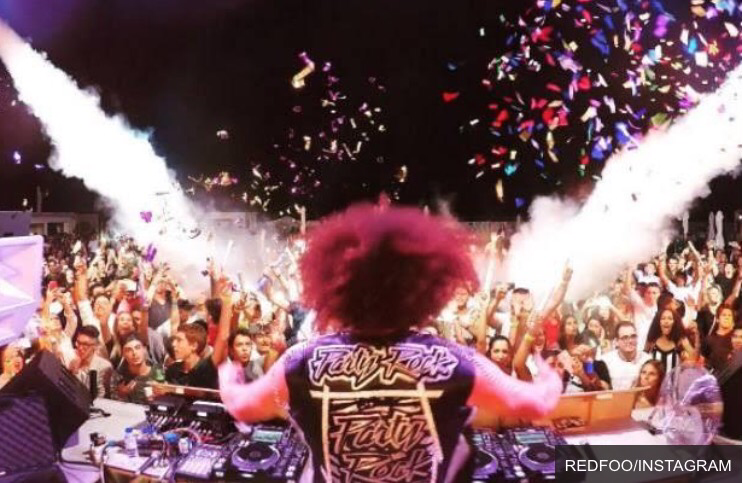 Redfoo is just one of many big names they’ve hosted there, from French Montana to Tyga, to Rick Ross. Yeah, they mean business. 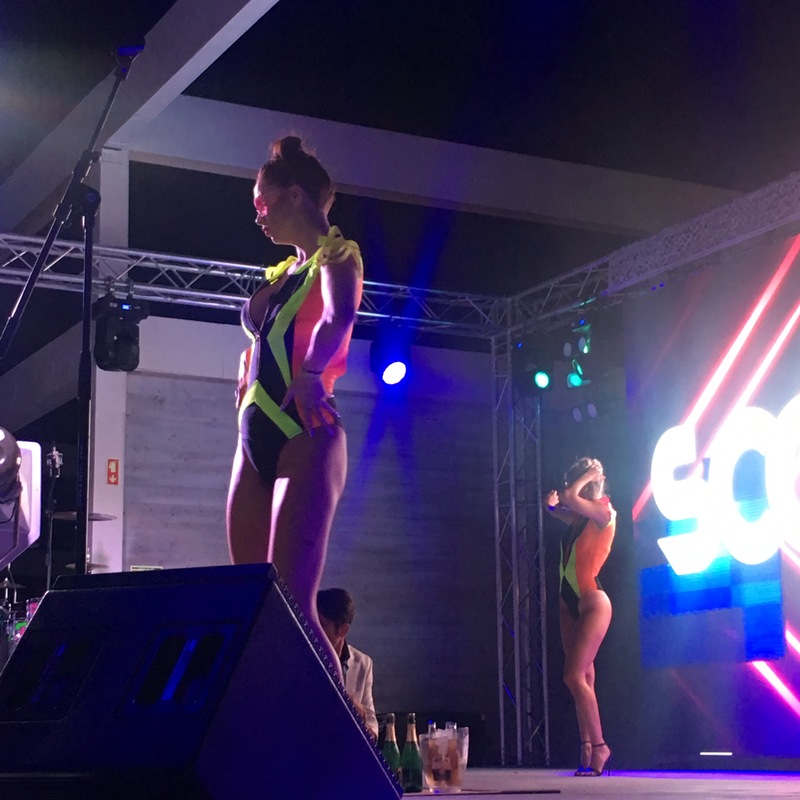 There is obviously toilet and shower facilities around the club, too, so you can easily change from day swimwear to night outfits if you wish. The service from staff is nothing less than impeccable; everyone is so friendly and eager to help you. 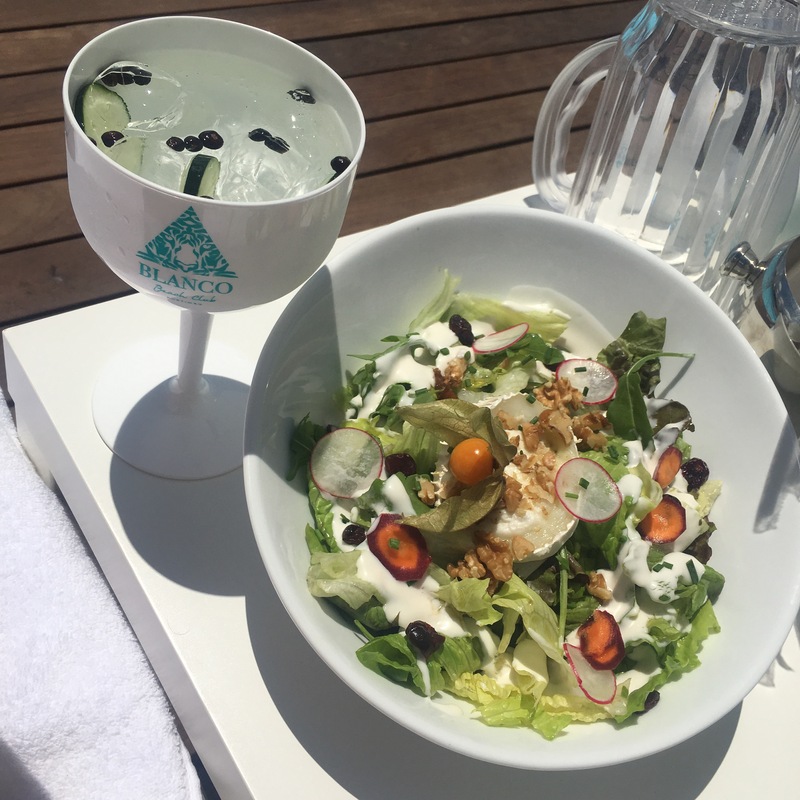 You honestly can’t beat fantastic service and this is something that Blanco Beach Club definitely delivers on. Price-wise, you can enter Blanco for €3.50 (about £3) and there are areas at the back with big bean bags where you can sit and spend your time. If you book a bed, these start from approx €200 (£180). This might seem a lot at first, but once split between you and your group, it’s definitely worth it. 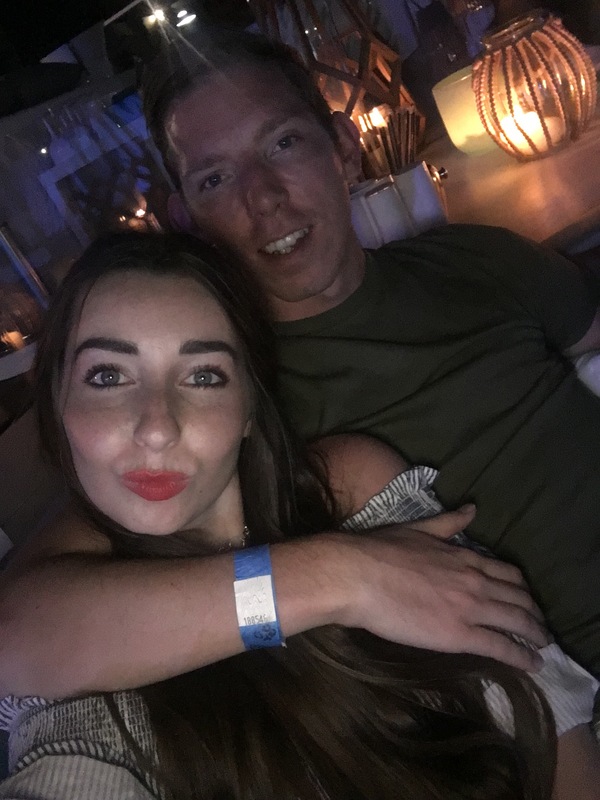 We spent our days lying on the round, white, leather beds by the pool, soaking up the sun and sipping on mojitos, while the resident DJ’s played cool, chilled out beats. 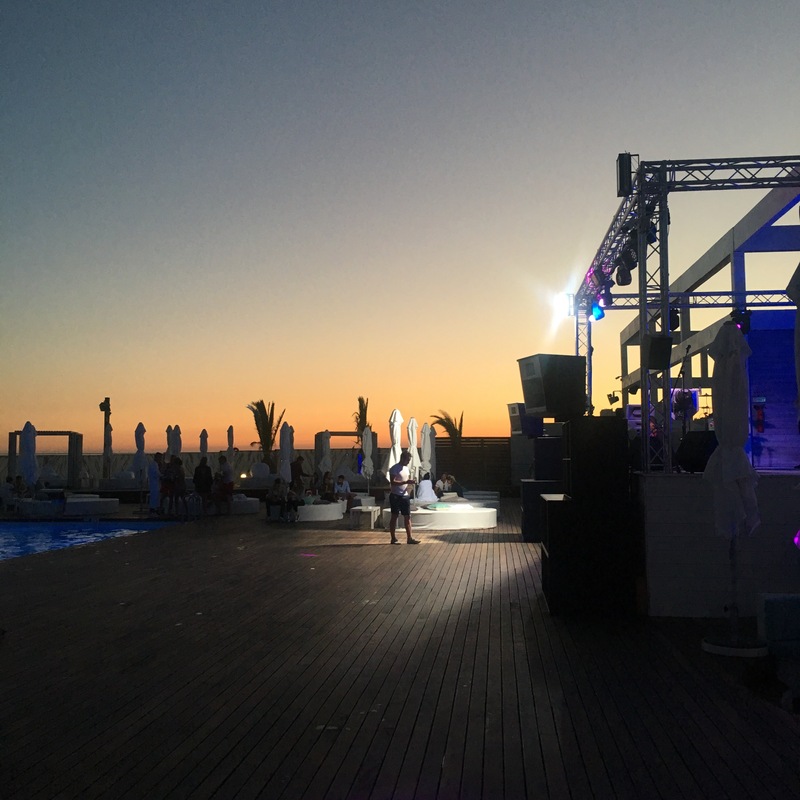 As dusk hit, the sun began to set and the club was lit by the gorgeous orange sun. I got a real Cafe Mambo vibe during this time and honestly, the sunsets were incredible. 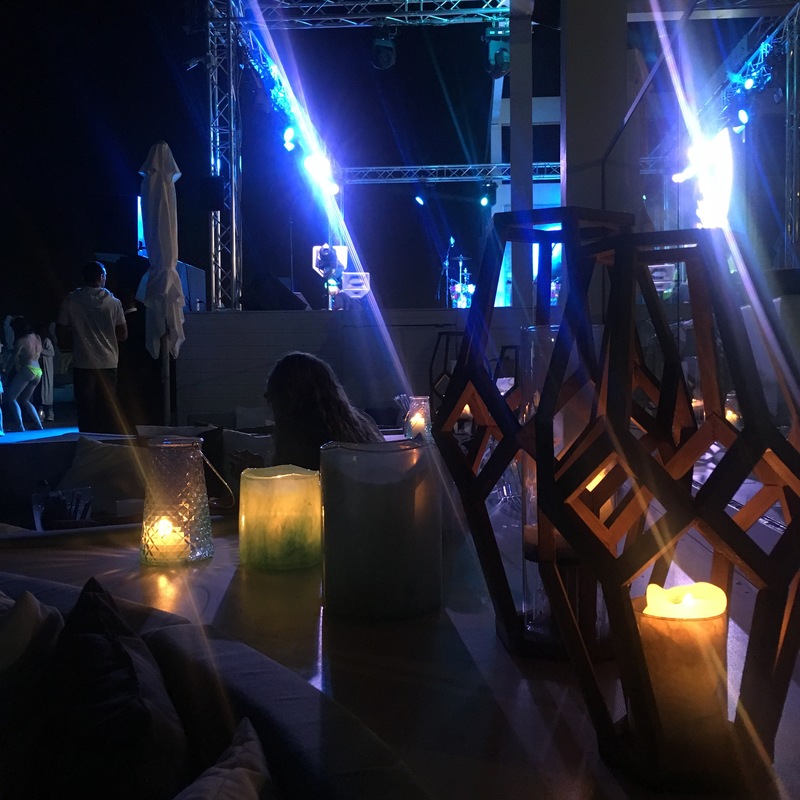 By night, darkness covered the club which was then lit by candles and colourful stage lights, with the world-famous line-up of DJs and hip-hop acts getting the party started. The dance floor filled with party-goers and some people even jumped in the pool. 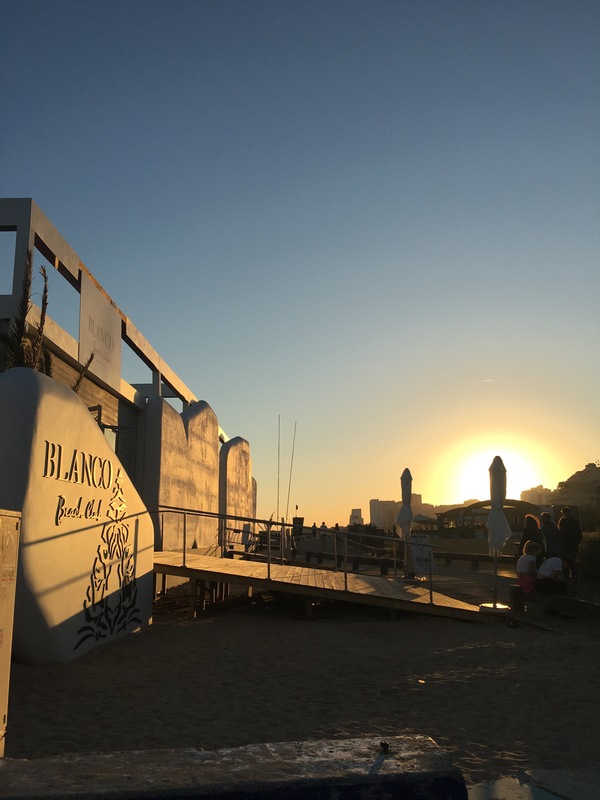 Blanco Beach has an impressive line-up of world-famous acts, gracing its stage at night. From Hip Hop artists like Tyga, French Montana and Trey Songz, to DJs such as David Morales, &Me and Andrea Oliva – nights out at Blanco do not disappoint! Not to mention Blanco’s dancers who always look incredible! 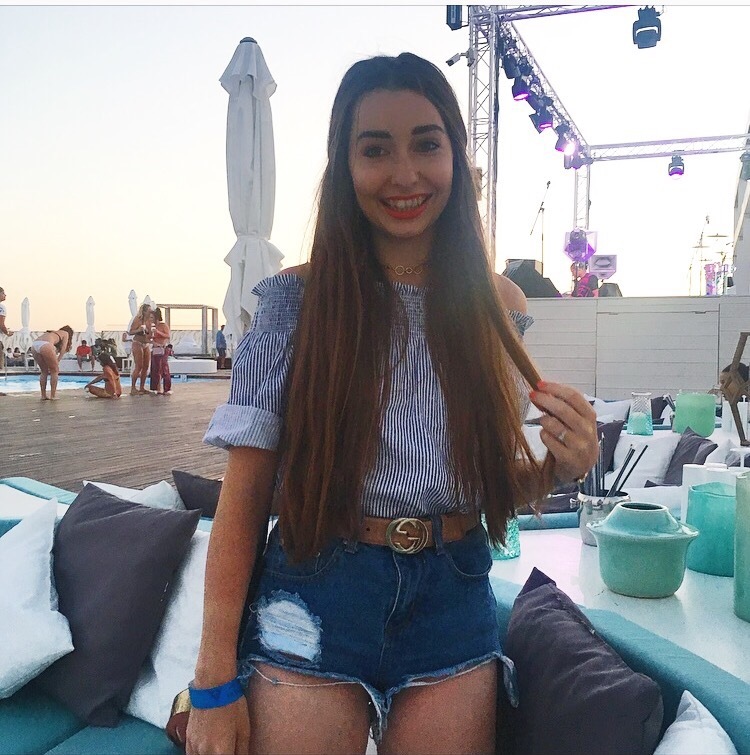 Being organised and choreographed by Laura Carter, the girls dance the night away on stage alongside the acts. Tom and I were lucky enough to chat to and grab a picture with Laura and her girls, who are all so lovely and beautiful. Their costumes always fit the vibe of the night and you are sure to be impressed by them. If you’re anything like me, you’d just want to be one of them too! 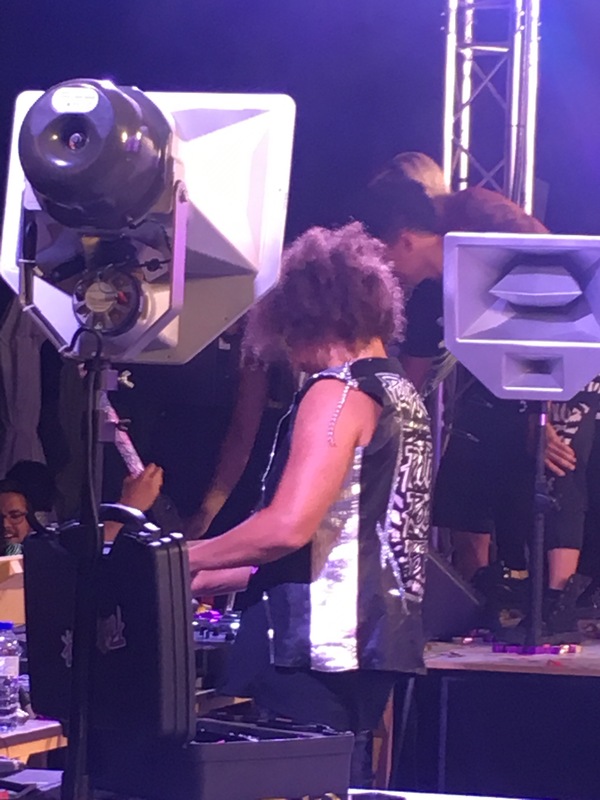 As I mentioned before, we were lucky enough to be there when Redfoo from LMFAO played – and it was literally insane. 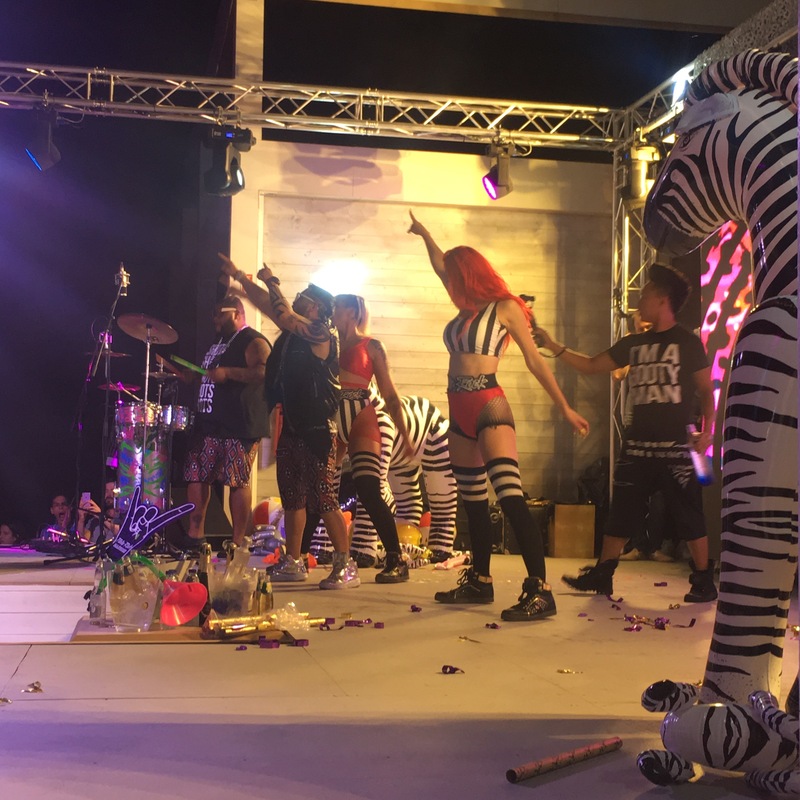 With confetti canons, blow-up props and a rammed dance floor, everyone was literally ‘party rocking’! 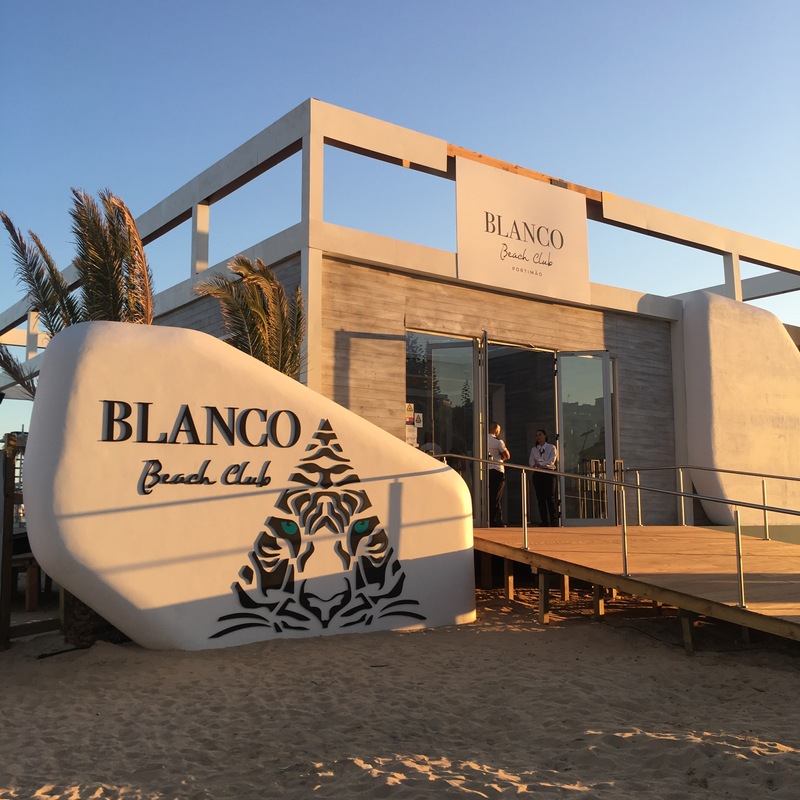 Blanco Beach has its own restaurant and the finishing touches are still being applied so it’s not yet open. But don’t fret, they have a ‘pool menu’ that will not disappoint. 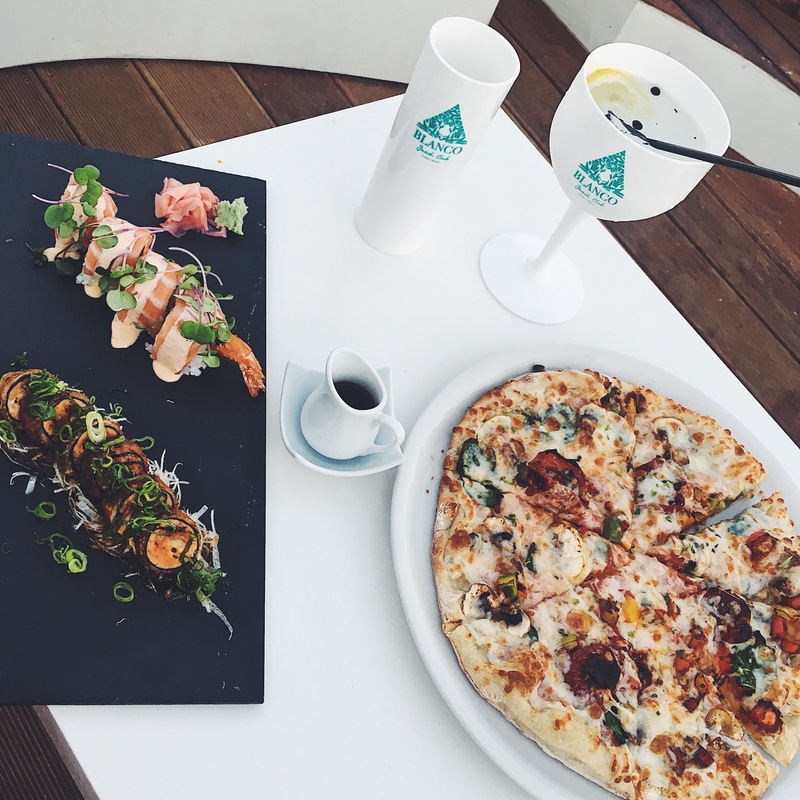 From sushi, to pizza, to salad and fruit, they have it all. The drinks menu is pretty impressive too and although there aren’t cocktails on the menu, the bar staff were more than happy to make anything I asked for. So during my time there I had a mojito…or ten! With a pool menu this good, I can only dream of what Blanco’s restaurant will be serving when it’s open. Blanco Special Salad (this was a mix of leaves, dried fruits, nuts and goats cheese). Nachos are a great pool snack but they’re pretty spicy so if you can’t tolerate spice, these aren’t for you! I mean have you ever seen a G&T look this good?! Set along the white shores of Portugal’s Algarve, the beach club has an idyllic location. Tom and I went to explore the local area and fell completely in love with it. 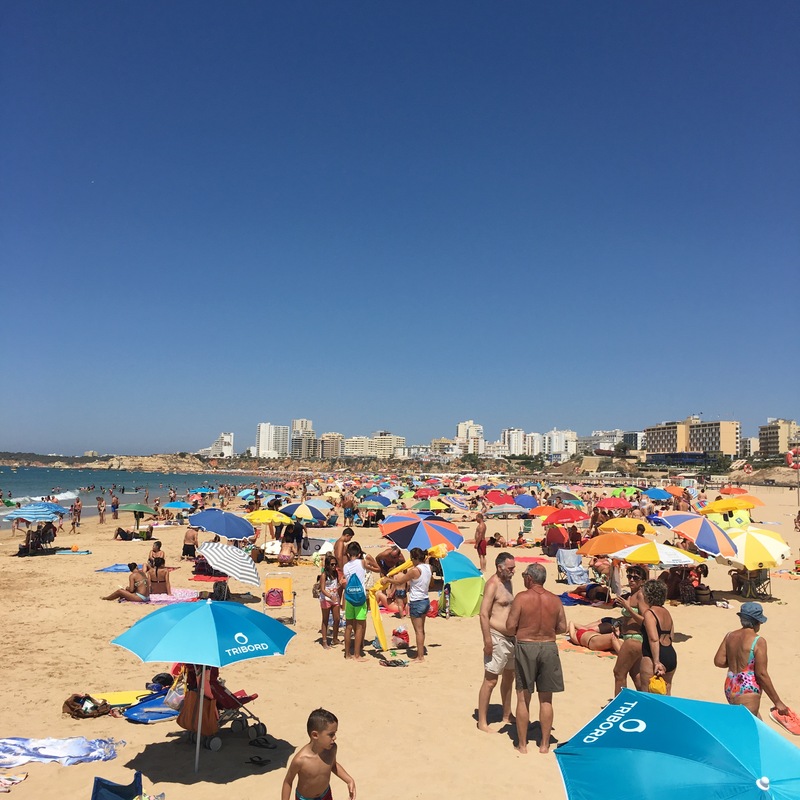 Praia de Rocha – Beach of The Rocks, has its name for a reason! There are huge rocks alongside a promenade that goes into the water, with a red and white striped lighthouse at the end. It’s very cute and, as they say, picture perfect. There are then some steps which enable you to get down and enjoy the obstacle course that is the rocks! Plenty of Insta-worthy pics to be had. Unlike the expensive resorts of Ibiza and Marbella, Portugal’s Algarve is bustling with tourists – but without the prices. 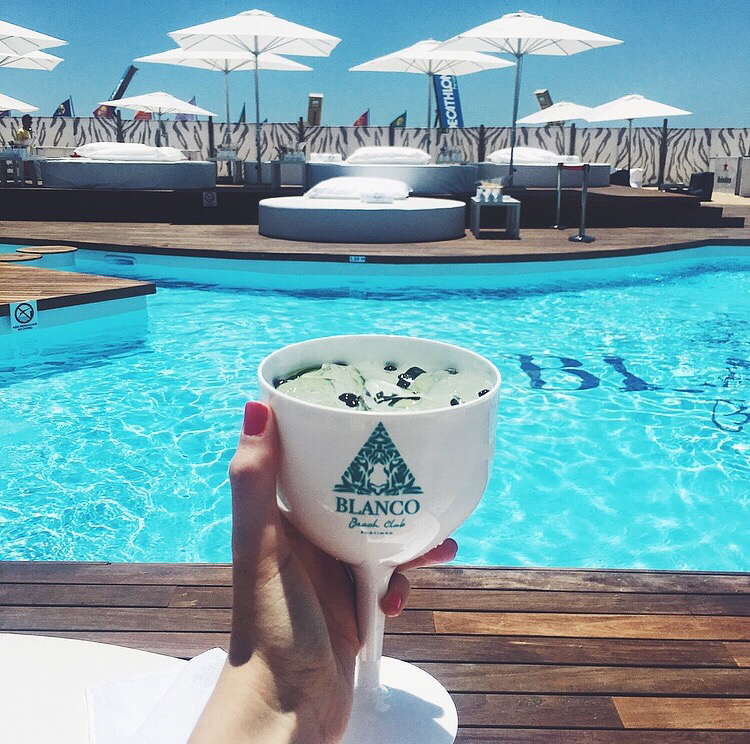 This makes going to Blanco Beach Club ever more appealing. Food and drink in the area is also very reasonably priced. 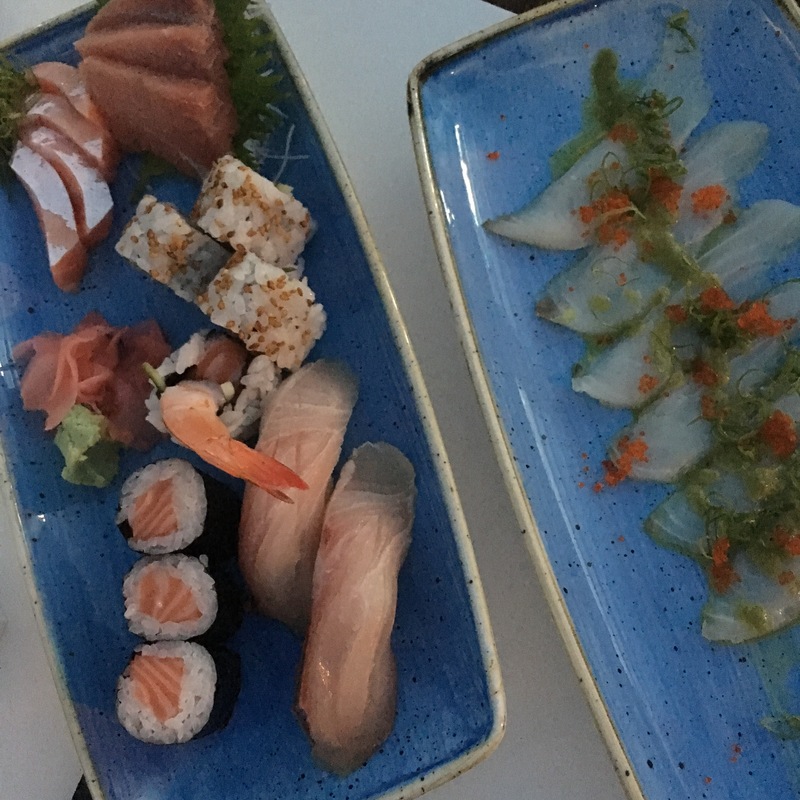 We grabbed lunch for 2 for around €15 (£13). A beer was around €3, a glass of Coke for about €2.50 and our bagels were around €5 each. This is so much cheaper than the likes of San Antonio and Play Den Bossa in Ibiza, where you’d struggle to get your own lunch for under €15! 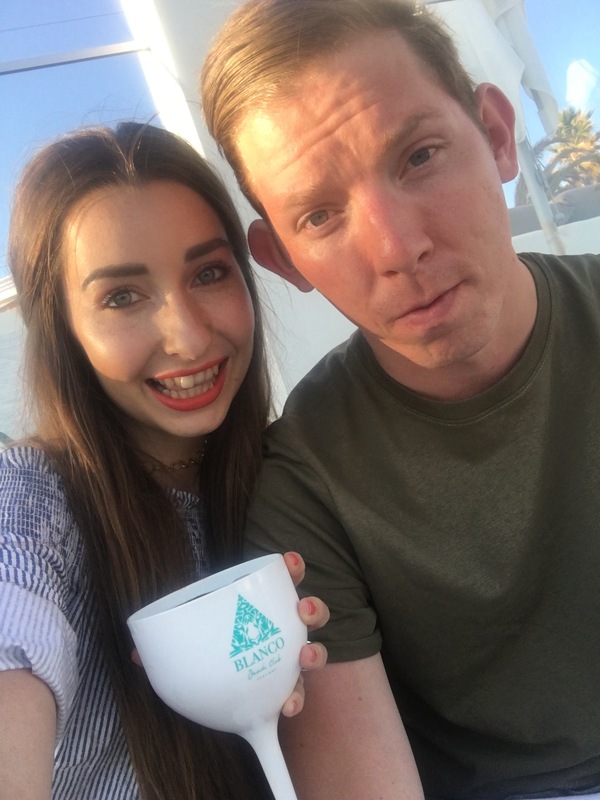 We stayed at the Luna Alvor Bay which is situated just outside of Praia Da Rocha, in a little fishing town called Alvor. The town was very cute and quaint and about a 15 minute drive from Blanco Beach Club. It was very quiet (but with local amenities nearby) and the perfect place to escape the busy Portimao area. 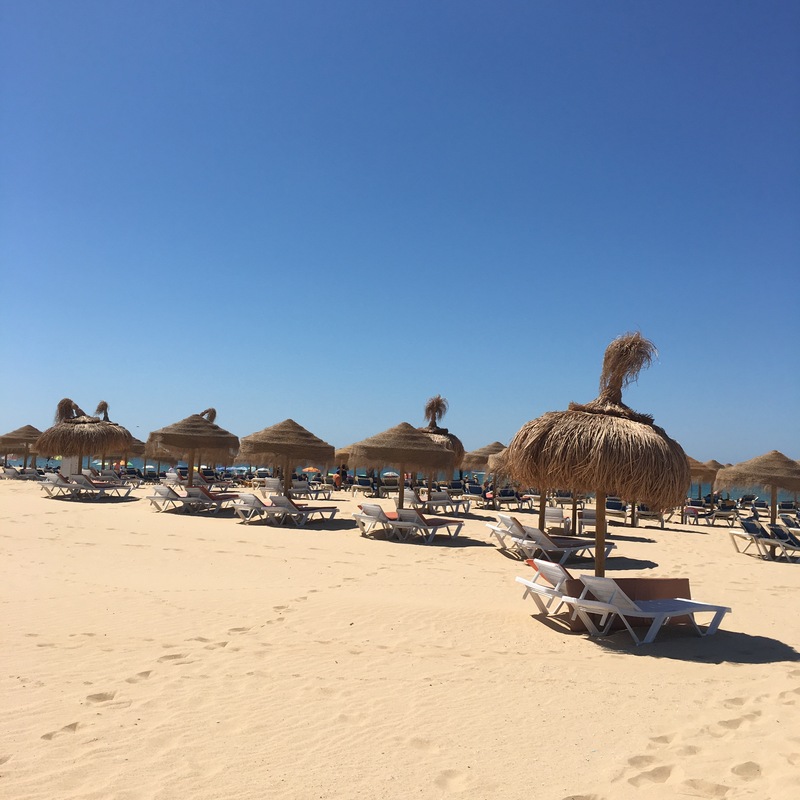 The Luna Alvor Bay was a delight to stay in. With a huge double room, with a kitchenette and bathroom, it was everything we needed. Not to mention the unforgettable views from our room balcony – waking up to this each morning. 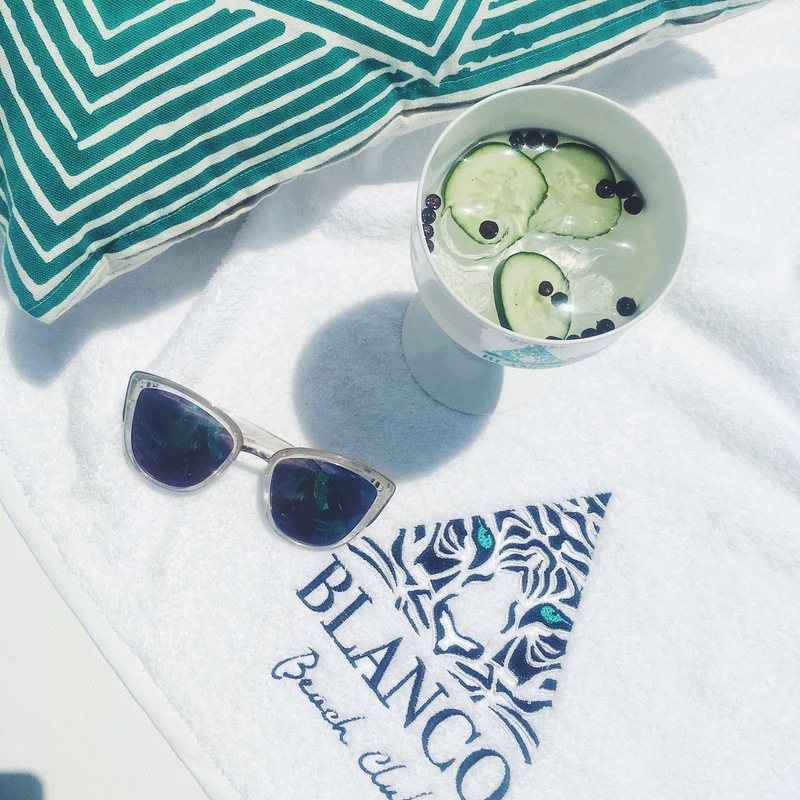 Overall, we had a great time at Blanco Beach Club and both really want to go back. 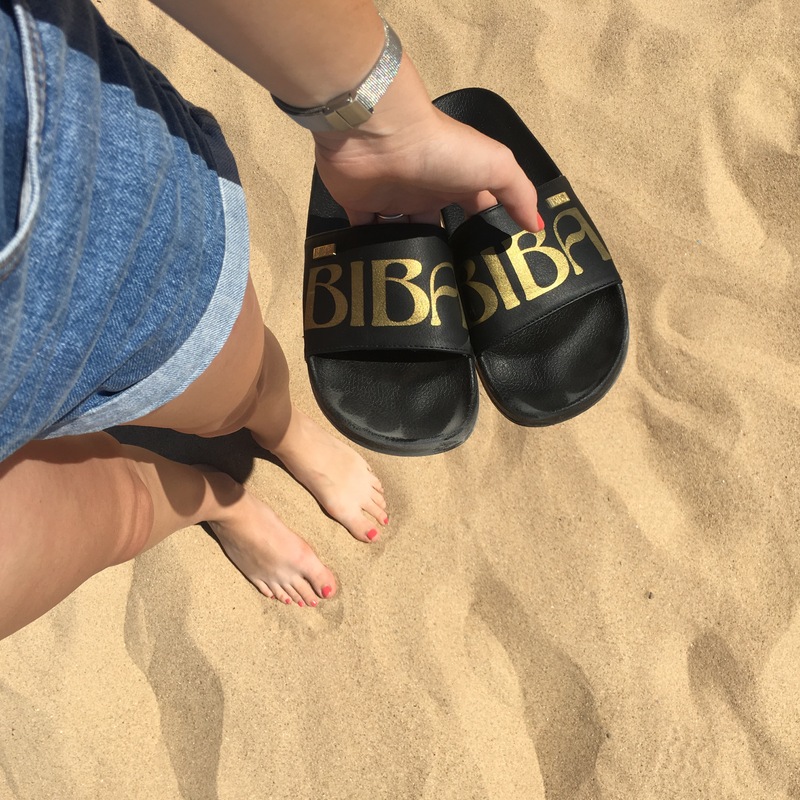 If only my hen do in 2019 could be here…(hint hint Bridesmaid HAHA)!